~Orrin: The first thing that entered my mind was Mystery. ~Sheniqua: An inspiring story of how a woman conquers life's obstacles. I love the cover!! Serious!! ~Regina: I'm at peace and looking beyond the past, but there's more I have to get out and tell to the world! ~Jennifer: SHE'S A PRETTY GIRL... WHN U LOOK INTO HER EYES THO U CAN TELL SHE'S BEEN THREW ALOT. PAIN, HAPPINESS, SORROW, REAL LIFE!!!! I BET U THIS IZ A GOOD BOOK!!! ~Thomas: god is good! this is the first of many - good job sister !! my oldest daugther would love thisd book i believe! ~Ann: ITS A BEAUTIFUL COVER I MUST SAY! ~Sylvia: Praise God, look at my beautiful cousin !!! I'm soooo proud of her !! ~Tracy: Wow!!! You did it! Can't wait to read it. ~Sharon: All things are possible!!! ~Shirley: I see a Young Lady with somthing burning in her eyes, somthing she can't wait to tell,somthing that has set her free and will help and encourage others to not give up but go all the way for whatever it is that you dream big about and get it. I hope its not to soon for congrat! And GodBless,always! ~Fred: a great dream comin into realization...or better yet bestseller! To share your thoughts, click here. American Dreamer FUN FACT # 9: The book, before it was named, "American Dreamer," was called, "A Higher Calling." After deciding that the current name was a better fit for the main theme expressed throughout the book, the name was changed and a "Higher Calling" was given to the name of an upcoming fiction novel the author is currently working on. American Dreamer FUN FACT # 8: The initial writing for the book, "American Dreamer" first began in a small hotel room in Atlanta, Georgia. The completion of the book took place in a hotel in Jacksonville, Florida. American Dreamer FUN FACT # 7: The length of time it took to complete the writing for the book's manuscript was approximately six years. 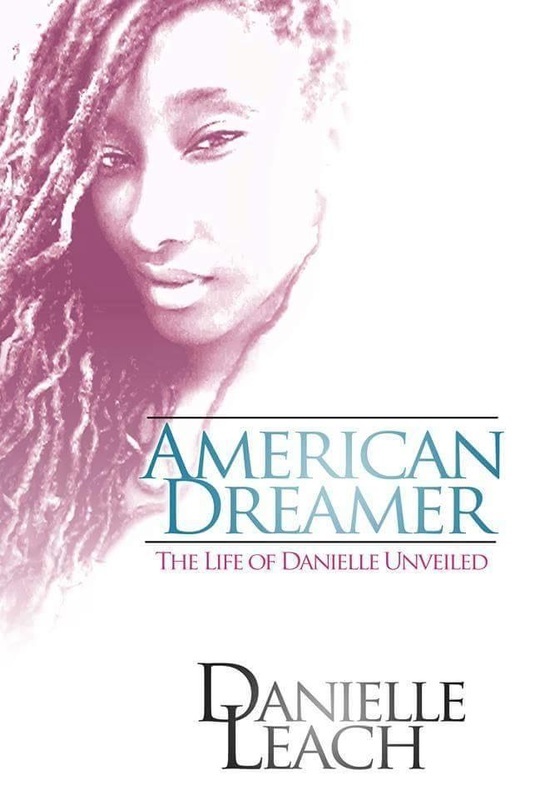 American Dreamer FUN FACT # 6: The book covers a span of 22 years of the author's life; over 80 % captures the author's life as a teenager and young adult. American Dreamer FUN FACT # 5: The book, "American Dreamer," is colored with over 100 aphorisms to which the author has coined her "Dream Insights of Inspiration." American Dreamer FUN FACT # 4: The Introduction to the book, "American Dreamer" was composed and written based on responses from a 5-month long survey conducted among Facebook users. American Dreamer FUN FACT # 3: The author references the names to over 25 famous celebrities in her book, "American Dreamer." American Dreamer FUN FACT # 2: The picture on the current cover design for the book, "American Dreamer" is a "selfie" taken by the author (Danielle Leach) herself. American Dreamer FUN FACT # 1: Over 95% of the book's manuscript was hand-written then typed. The entire manuscript was typed on a computer not owned by the author. She has yet to purchase her own personal computer/laptop, but is contemplating on buying 1 for the completion of her upcoming books. I paced to the end of my driveway and spotted my Dom's truck parked across the street. He unlocked the door and I eased inside. I took a deep breath then looked over at my Dom. My Dom took his right hand and gently rubbed my inner thigh.